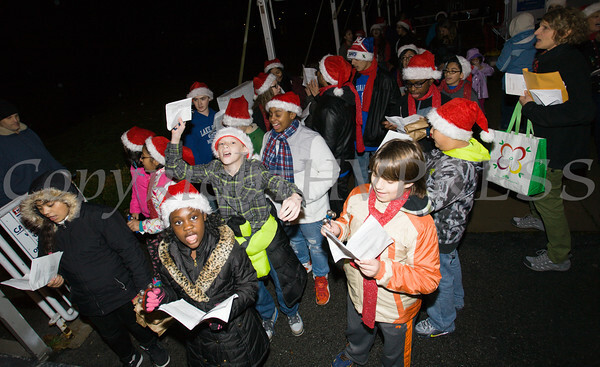 Carolers sang on the Newburgh waterfront to the ferry riders as they disembarked on Wednesday, December 16, 2015. Carolers sang on the Newburgh waterfront to the ferry riders as they disembarked on Wednesday, December 16, 2015. Hudson Valley Press/CHUCK STEWART, JR.